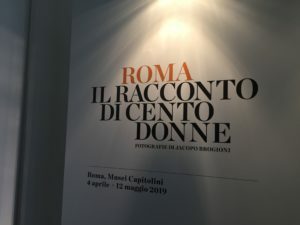 Rome (NEV), April 6, 2019 – There is also Federica Brizi, in charge of the migrants and refugees reception for the Federation of Protestant Churches in Italy (FCEI), among the 100 women portrayed in the exhibition “Roma. The story of 100 women”, inaugurated last April 3, at the Musei Capitolini. 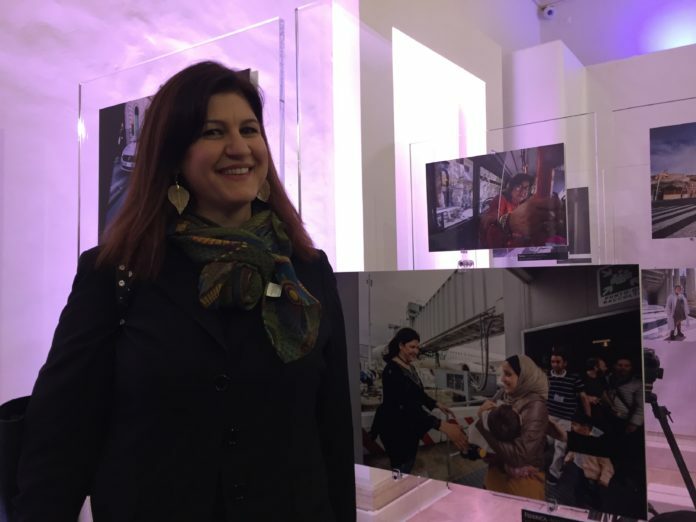 The photo was taken by Jacopo Brogioni, author of the project, in 2018, on the occasion of the arrival of a humanitarian corridor at Fiumicino Airport and is one of the 100 portraits of women who represent, according to the exhibition’s authors, the city of Rome. On the morning of April 3, the event opened with a press conference attended by the mayor Virginia Raggi, one of the persons portrayed in the photographic journey, along with many representatives of civil society, politics, journalism, from Ilaria Cucchi (a left wing activist) to Giorgia Meloni (right wing leader). “What is the effect of seeing one’s image next to that of the right leader?” “We would like to tell her about our humanitarian corridors – answered Brizi, with a smile, to the question a journalist asked -. We invite her to come and see our work. We are looking forward to her visit!”. “The day after the incidents of racism in Torre Maura – added Federica – we are yet to remember a welcoming Rome, which should be more known and told about. A Capital in solidarity also with women, beyond gender stereotypes”.